Allen's Tree stand Crossbow Holder is a great way to keep your bow handy on those days you're waiting for the chance to take a shot. 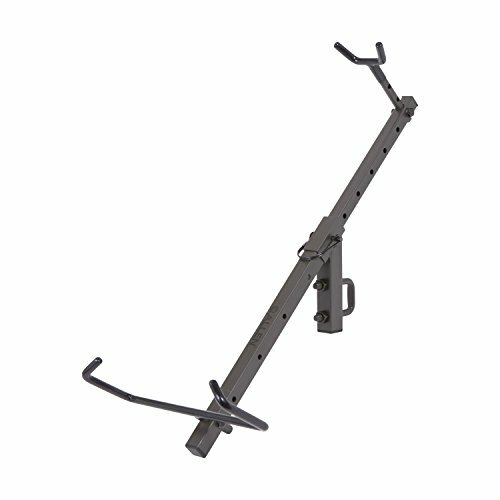 This crossbow holder holds your bow in a safe downward position without taking up too much space in your blind. Coated contact points prevent any unwanted noise when your chance arises. Multiple adjustment options allow you to adjust the length and height of the stock rest. Sturdy metal construction with durable hardware included. Assembly required.